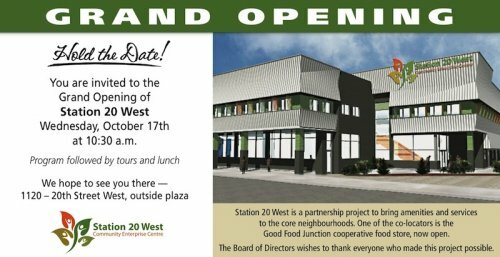 Station 20 West, Saskatoon's innovative community enterprise centre, is now open. Residents of Saskatoon's core neighbourhoods face limited access to healthy food, lower health outcomes than other areas of the city, and higher levels of poverty -- 44% of people living in the core neighborhoods live below Statistics Canada’s Low Income Cut-Off (LICO) compared to 17.7 percent for Saskatoon as a whole. Congratulations to CCEDNet member Quint Development Corporation and all the partner organizations!